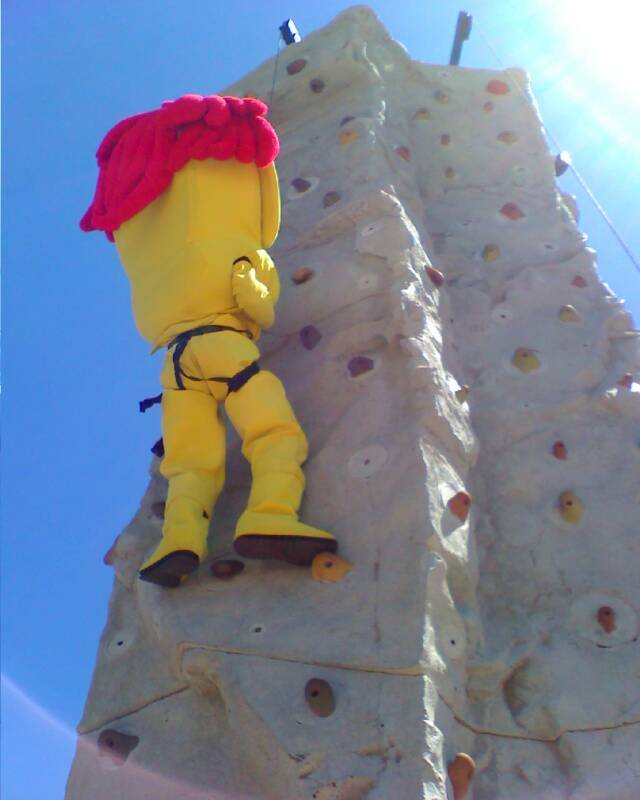 Our Rock climbing walls are top of the line “real feel” which means that the walls look and feel like real rock not just a flat surface with a few hand holds like most walls. 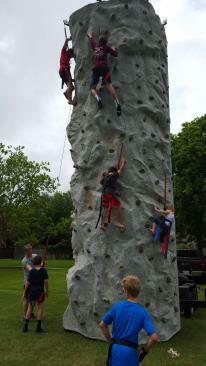 Ours rock climbing walls can handle 5 climbers at once. 4 safety anchorage for windy days. 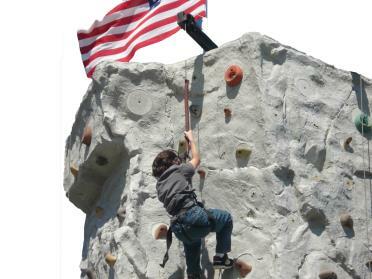 How to choose the right rock climbing wall for your event There are many factors to consider when selecting a rock climbing wall. The size of your event, will determine the throughput needed on the rock wall. Throughput is the amount of participants per hour that can use a ride. When it comes to rock walls, the factors that contribute to the throughput are 1- Number of climbing lanes, 2 – difficulty of the climbing lanes, 3 – the height of the climbing lanes, and 4 – the age of the participants. The most important of these is the number of climbing lanes. The more climbing lanes on the rock wall the more throughput. Most rock walls have either 3 or 4 climbing lanes. However, the best rockwalls have 5 climbing lanes. These may cost a little more, but guarantee the highest throughput at an event. The goal at any event, is to keep the lines moving and people happy having fun.